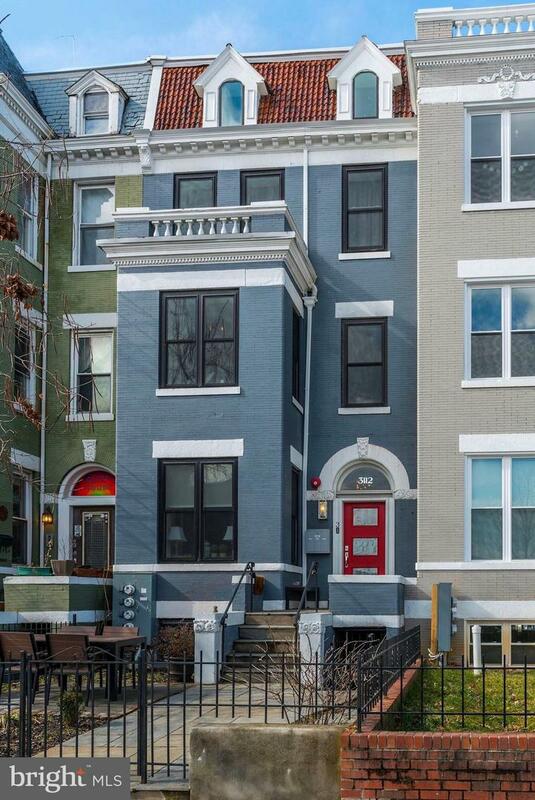 Rare boutique two-bedroom, two-bathroom Columbia Heights condo one block from the metro. A chef's kitchen with high-end stainless steel appliances by Thermador & Bosch and Liebherr refrigerator with ice maker, huge kitchen island featuring Carrara White Quartz countertop, has ample seats great for entertaining. 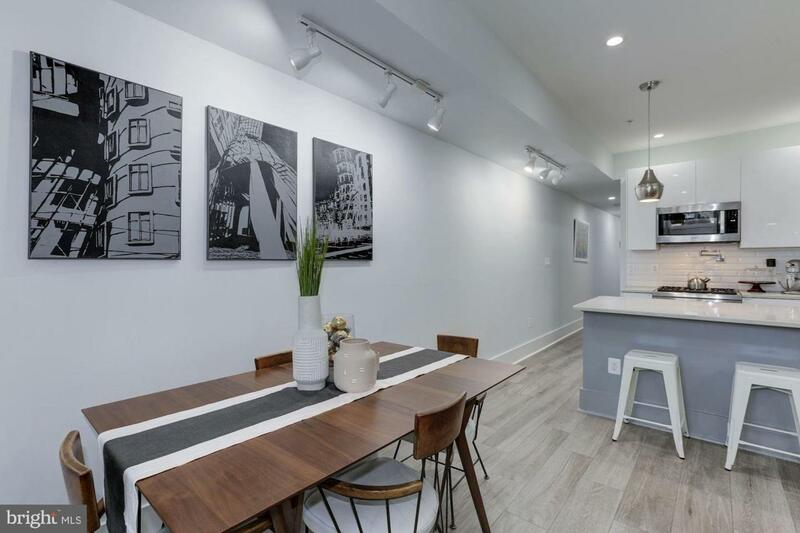 Although, being this close to all the amazing dining options Columbia Heights offers, like Bad Saint, Red Rocks Pizza, Room 11, or Thip Khao, no one would blame you for dining out every night and letting the gourmet prep space go to waste. 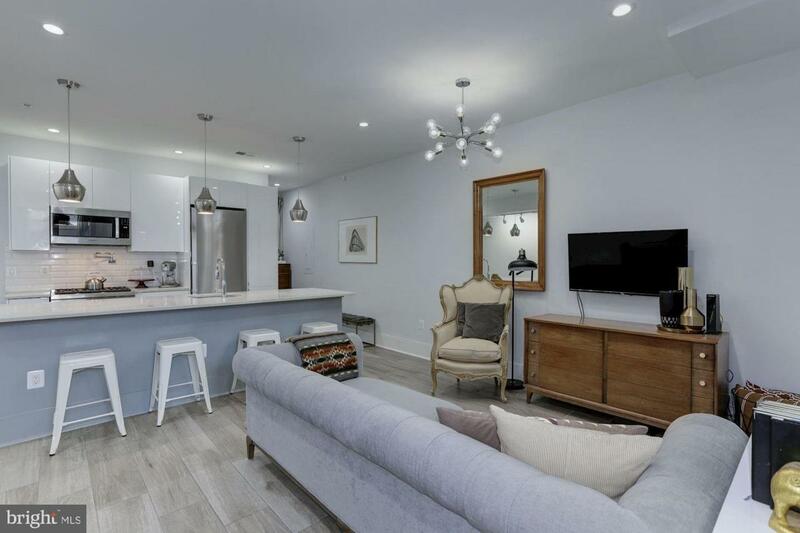 High ceilings, with a bright, open and airy floor plan allows maximum flexibility to customize the living space to meet your needs. This home has storage more akin to a house than a condo, thanks to custom designed closets with shelving by Elfa. A private gated front entrance has additional space for storing a bike, shoes, or any other gear. The private rear entrance with cascading ivy adds to the unique vibe this home offers. Smart home features include Ring Doorbell and Camera. 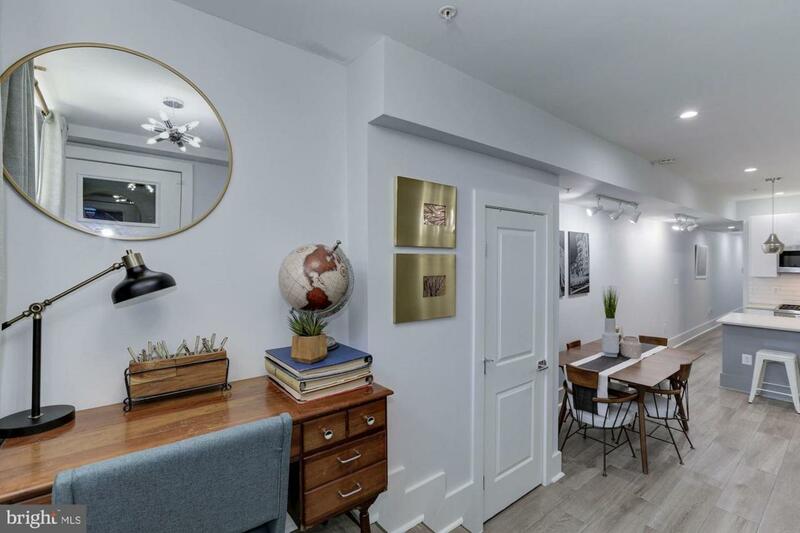 There is a shared front patio and garden to enjoy a summer evening in the city, or have a quiet moment before you walk to wherever you want; with a walk score of 96, there are plentiful options.